Differentiating between thoughts and feelings (emotions and body sensations) is an essential skill in cognitive behavioral therapy (CBT). 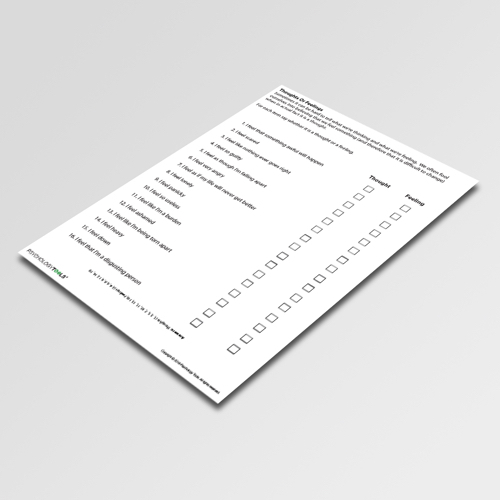 Thoughts or Feelings is a quiz worksheet designed to help you practice differentiating between thoughts and feelings. Differentiating between thoughts and feelings (emotions and body sensations) is an essential skill in cognitive behavioral therapy (CBT). Thoughts are often opinions or assumptions – these are open to interpretation and modification. 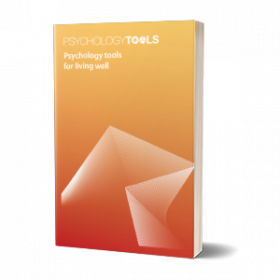 Feelings are often a product of our the way we are thinking about something – and are best modified through balanced thinking exercises or similar. Many clients may initially find it difficult to differentiate between the two – and may become confused by statements like “I feel stupid” which confuse an emotion and a thought. 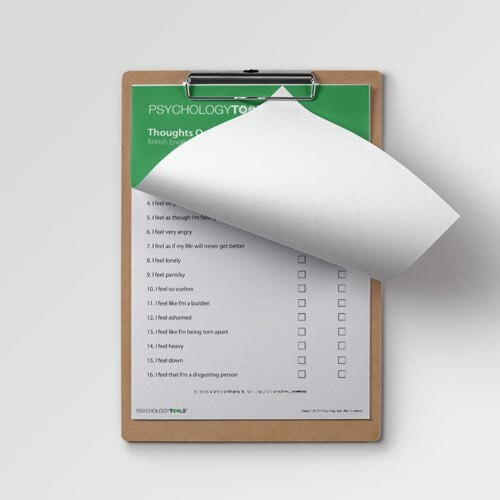 Thoughts or Feelings is a quiz worksheet designed to help you practice differentiating between thoughts and feelings.